Home > cricket > cricket world cup > inzamam > scandal > woolmer murder > Woolmer Murder: Does The Pakistan Team Know More? Woolmer Murder: Does The Pakistan Team Know More? Cricket commentators that have kept a watchful eye on the Pakistani team over the past 2 years have oft commented on the not-so-minor role that religion has played in uniting the players towards a common goal. Some have even suggested that the focus has been shifted from cricket to religion. In fact, PCB Chairman Naseem Ashraf thought strongly enough of the issue to suggest that the focus of his national team should return to cricket and religion should play a secondary role in the thinking and workings of the team. Prem Panicker happened across an interesting article by B Raman, who he claims is a terrorism expert. Raman references an earlier article (apparently written just before the World Cup) by a Pakistani columnist, that described links between a "jihadi" organisation, Tablighi Jamaat (TJ), and the ultra-religious faction within the Pakistan team. It is said that Inzamam-ul-Haq was the leader of the faction within the team and the group included the likes of "Mushtaq Ahmed (the bowling coach), Mohammad Yousaf, Saqlain Mushtaq, Shahid Afridi, Shoaib Malik, and Yasser Hameed." Apparently, Inzimam's faction are all members of this conservative Islamic organisation and Inzimam, himself, regularly preaches its beliefs across Pakistan. The organisation's clergy are often seen leading players' prayer sessions and organising meetings with international chapters of the organisation during overseas cricket tours. Raman believes, although has no concrete evidence, that Woolmer may have questioned or criticised TJ beliefs or practices, leading to rather disproportionate action being taken in revenge by a TJ member. 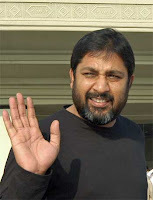 Revelations are coming to light pertaining to the command that Inzamam had over his players, and the lack of control that Woolmer was able to exert over them. In this light, it is quite reasonable to assume that Woolmer may have questioned the players' commitment towards the game, as compared to their religion. After all, a coach's job is not to stand by idly as a cricket team transforms itself from a group of focussed players to wannabe jihadi clergymen. Quite correctly, Raman ponders whether the Jamaican Police have explored this avenue in the course of their investigations. These claims are quite different to the common themes revolving around shady characters that fix matches. Assuming that the Jamaican Police were unaware of these details, I cannot help but wonder whether they were able to ask the right questions during their interrogation of the Pakistan squad. I do not believe a Pakistan squad member had a direct link in Woolmer's murder. However, an seemingly innocent conversation between a player and another TJ member could have sown the seeds for what transpired in Woolmer's hotel room on that fatal night. The question remains, did the Police ask the right questions? Moreover, does the Pakistan team know more than it is letting out?